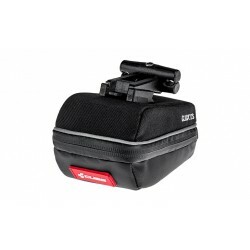 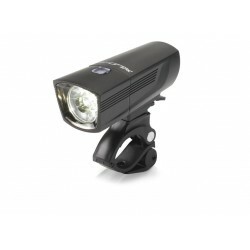 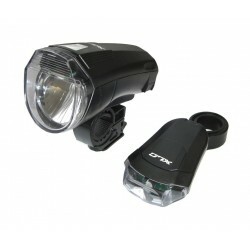 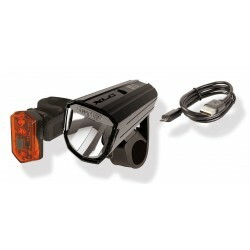 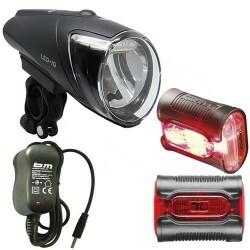 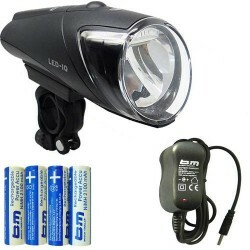 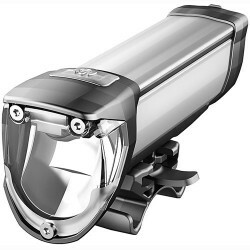 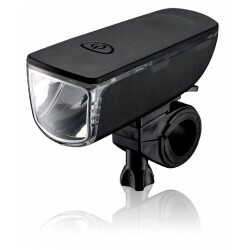 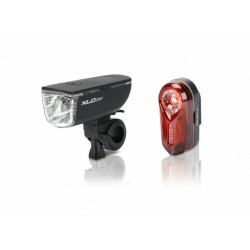 Compact light set compliant with German StVZO (road traffic regulations). 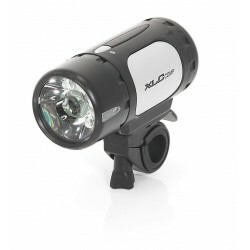 The 12 Lux front light can be easily fitted to the bar without tools. 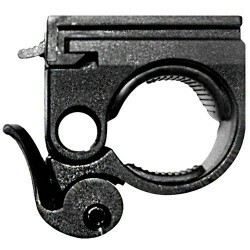 The mount can be turned through 60 degrees.The light can also be used as a flashlight. 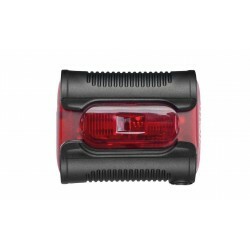 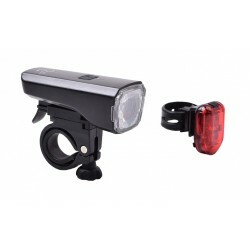 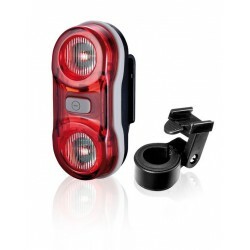 The Tour rear light has a slim design and can be mounted universally. 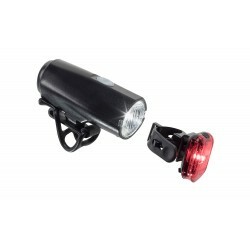 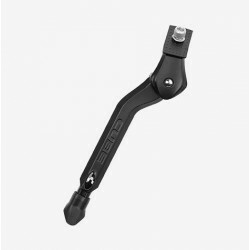 The rear light can be fitted either on the seat post or the seat stays without tools. 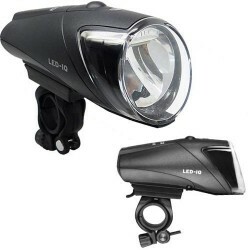 Both lights come with holder and batteries. 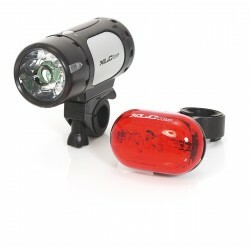 The lights can be fitted without tools and are splashproof.